Who doesn’t love a good pamper every now and then eh? Ever since I had my first massage on a spa trip with my mum a few weeks ago, I’ve been longing for another one! I would also really would like a manicure to get my nails in tip top condition for AW. AND I like to have a good pedicure at this time of year so I know that despite being buried in big warm boots, my tootsies are still neat and tidy. 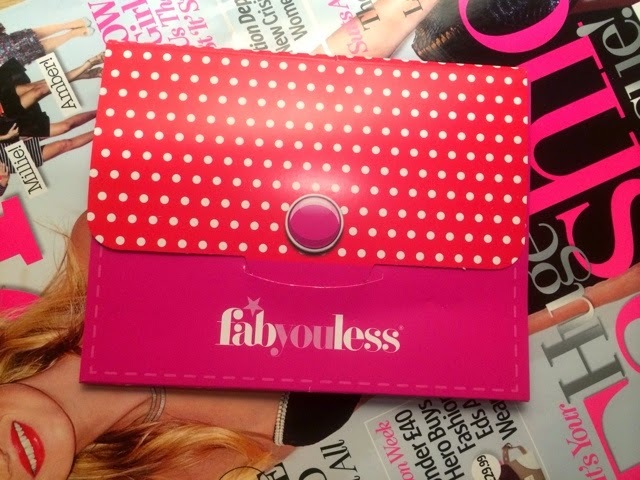 It’s lucky for me then that I have been sent the amazing Fabyouless Card which gives me special offers on all of these treatments and more – and you could win one too! 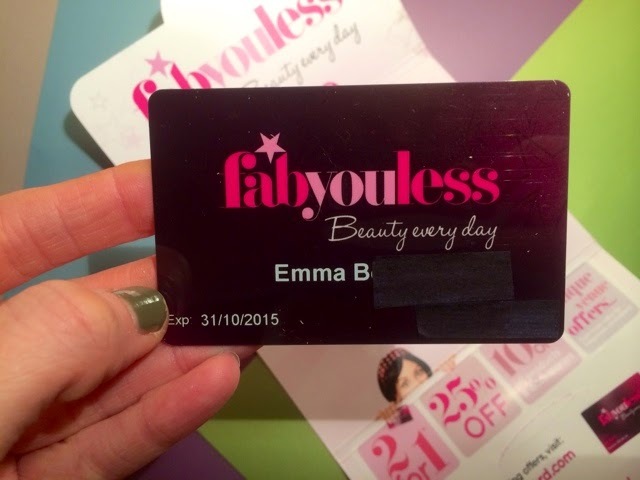 Fabyouless is a beauty blogger’s best friend – this little card can get you some BIG discounts! 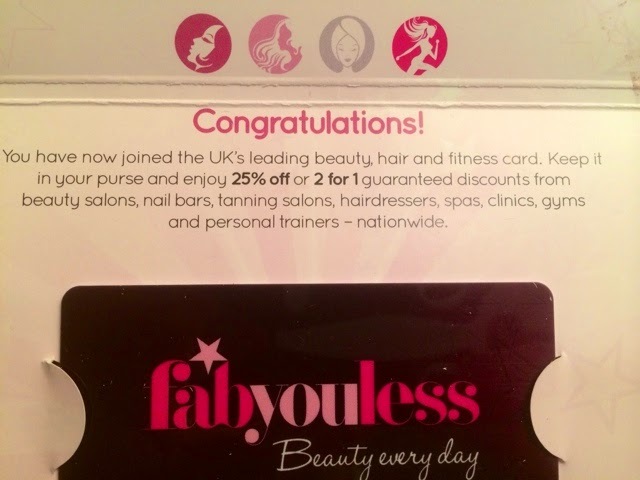 Fabyouless is a membership card which has partnered with thousands of beauty, hair and fitness companies up and down the country to give you a range of special offers on all sorts of services and treatments. You could get 2 for 1 deals, 25% off usual retail prices, save 10% off products and accessories and get a whole host of other unique venue offers at leading beauty salons, nail bars, tanning salons, hairdressers, spas, clinics, gyms and personal trainers around the country. The Fabyouless website lets you search for offers by location and filter the results by the type of service you’re after – simples! I love that there are a a real mix of venues who accept the Fabyouless card – from local independent salons to huge well know spa chains. There really is something for everyone no matter what you’re after and where you live! It’s such a great idea, and so easy to use – just log on to the website, find your treatment and venue and then book straight through the site. 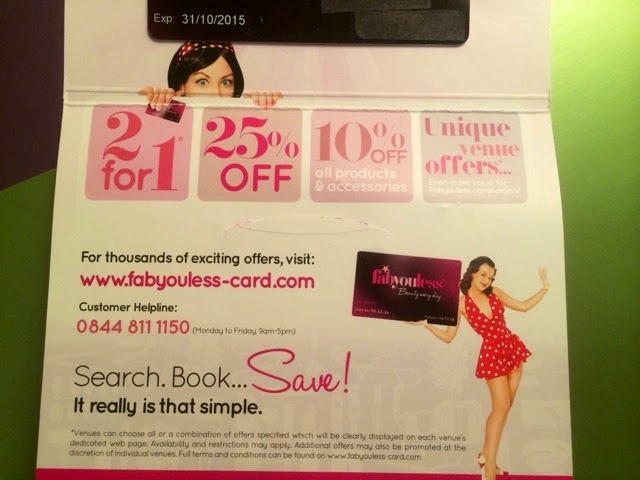 The Fabyouless card is £49.95 and last for 12 months and you can use it as many times as you like during that period.I think a Fabyouless card would make a great birthday or Christmas gift – everyone likes a pamper session now and then and this way your loved ones can get discounts on treatments throughout the year as and when is convenient to them. The lovely ladies at Fabyouless are offering you the chance to win one for free right here at emsypickle – simply fill in the Rafflecopter below! Good luck dolls! 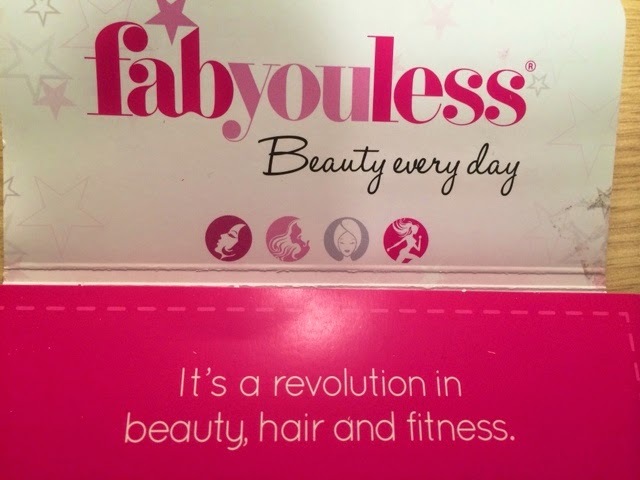 What treatment would you go for first if you won a Fabyouless card? *Thank you so much to Fabyouless for sending me a Fabyouless card and offering the chance to give one away to readers of emsypickle.co.uk All thoughts are honest and my own. For more information please see my Disclaimer Page.